The problem with this view is that the Masters (also known as adepts or Mahatmas) were supposed to be on the earth forming a brotherhood that has existed for centuries, if not millennia. If the Mahatmas are now to be regarded as the higher self, then that implies that they are not incarnating on the earth any more. But if not, why not? Doesn’t the world still need them? Why should they have existed as flesh and blood people for centuries and then abandon the physical plane only recently? Another difficulty with this view is that it subverts the very conception of one’s own higher self by externalizing it. My higher self is me qua atman, that is, my self insofar as it is freed from illusion and united with the Supreme. The higher self, therefore, cannot be what the Masters are. Another view is what I term the deflationary view. One representative of this view is Joe Fulton. (http://theosnet.ning.com/profiles/blogs/two-questions-about-the?xg_source=activity) According to this idea, the masters of the present day are hiding in plain sight. Maybe, for example, the Dalai Lama could be considered a living terrestrial master. Likewise, maybe all of the most enlightened people living at any given time can be collectively characterized as “the masters,” even if they don’t work together in any definite way. If we go this way, then the masters help guide the world by writing books, giving lectures, etc. On this view, the Theosophical Society implicitly receives guidance from the masters whenever it imbibes the teachings and example of these individuals. This kind of view has the merit of being highly rational. But it seems to be a case of throwing the baby out with the bathwater. The powers of the human mind are extraordinary and extend to the paranormal. The case for this claim is cogently discussed by Stephen Braude in The Limits of Influence. (http://www.goodreads.com/book/show/1851783.The_Limits_of_Influence) So, the mahatmas are not merely wise persons, but persons who have developed their powers to the boundaries of human potential. They are veritably transcendental individuals. A further consideration is one I discussed in an earlier posting. It concerns other planes of existence. If these other dimensions are real, then it is conceivable that suitably advanced beings reside within them. This leads me to what I consider the best way of conceiving of the Theosophical Mahatmas. The view I am putting forward is a hybrid of the traditional conception of the Masters as flesh and blood earthlings and the so-called New Age conception of them as ascended. As stated before, the Masters were on earth throughout human history. Accordingly, it is reasonable to consider them as a class as still residing in this world. But they are not merely wise men, but paranormally developed self-realized persons, from various spiritual and philosophical backgrounds. Moreover, as they leave their bodies, some of them remain in communion with the world from other planes of existence. Hence, some adepts are ascended, others not. 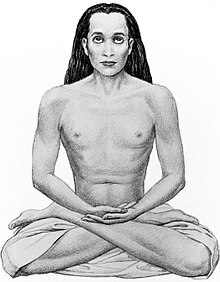 It should not matter that Babaji does not figure in Theosophical Society literature. Theosophy in its essence pertains to Truth itself, not to historical or organizational contingencies. In conclusion, the Mahatmas reside both in this world and beyond it. And while they are distinct from the higher self, they are forever providing assistance for those who wish to realize it. Richard Leslie Thompson, also known as Sadaputa Dasa, (1947 – September 18, 2008) was a mathematician, academic, author and American Vaishnava. He published several books and articles, including Forbidden Archeology: The Hidden History of the Human Race (1993), co-authored with Michael Cremo. With his writings on cosmology, Darwinism and religion, he is sometimes identified as a Vedic Creationist. Richard L. Thompson was a member of the International Society for Krishna Consciousness (popularly known as the Hare Krishna movement or ISKCON) and a disciple of the movement’s founder A. C. Bhaktivedanta Swami Prabhupada. He was also a founding member of the Bhaktivedanta Institute, an ISKCON academic think tank. He was born in Binghamton, New York, in 1947. 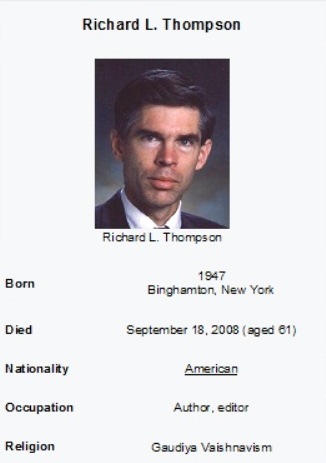 In 1974, Thompson received his Ph.D. in mathematics from Cornell University. He specialized in probability theory and statistical mechanics. Later, he conducted research in quantum physics and mathematical biology at the La Jolla Institute in San Diego, the State University of New York at Binghamton, and Cambridge University in the United Kingdom. He authored seven books on science and philosophy, and wrote many articles for scientific journals and for Back To Godhead, the official magazine of ISKCON. In 1993 Thompson co-wrote Forbidden Archeology. The book claims that humans have lived on the earth for millions, or billions, of years, and that the scientific establishment has suppressed the fossil evidence for extreme human antiquity. The authors speak about a knowledge filter (confirmation bias) as the reason for this suppression. Forbidden Archeology has attracted attention from creationists and paranormalists, but has been labeled as “pseudoscience” and “antievolutionism” by representatives of the mainstream archaeological and paleoanthropologist community. Meera Nanda in the Indian magazine Frontline called Cremo and Thompson “the intellectual force driving Vedic creationism”. In the ‘science and religion’ community he was known for his articulation of the ISKCON’s view of science. Danish historian of religion Mikael Rothstein described Thompson as “the single dominating writer on science” in ISKCON whom ISKCON has chosen to “cover the field of science more or less on his own.” C. Mackenzie Brown, professor of religion at Trinity University, San Antonio, Texas, described him as “the leading figure” in the ISKCON’s critique of modern science. In 1996 Thompson and Cremo appeared on the NBC special The Mysterious Origins of Man, which was widely criticized by the scientific community. The book Forbidden Archeology provided much of the content for the program. Thompson also researched UFO phenomena. In 1993 he wrote Alien Identities in which he explored parallels between modern UFO accounts and descriptions found within the ancient Sanskrit writings of India. He died on September 18, 2008. ^ “Michael (A.) Cremo”. Contemporary Authors Online. September 23, 2002. Retrieved on August 17, 2008. ^ “Cremo, Michael”. Chambers Dictionary of the Unexplained. Ed. Una McGovern. Chambers, 2007. p. 135. ^ Nada, Merra. “Vedic creationism in America“. Frontline. January 14–27, 2006. Retrieved on August 18, 2008. At the Feet of the Master is a book attributed to Jiddu Krishnamurti, authored when he was fourteen years old. Written under the name Alcyone, it was first published in 1910. It has since gone through dozens of editions, and has been translated in many languages. Admittedly, the following is stated in the foreword: “These are not my words; they are the words of the Master who taught me.” This statement is apparently related to Leadbeater’s claim that the so-called Master Kuthumi was “releasing” the spiritual instruction that makes up the work to young Krishnamurti while the latter was asleep. The book is considered a theosophical classic, and as of 2010, it has never been out-of-print. As of the same year, early editions of the work were in the public domain within several jurisdictions. Planes or Dimensions—Are they Rational? For me, the theosophical notion of multiple planes of existence is fascinating and thought provoking, but also very challenging to the rational mind. Perhaps “rational” is not the right term. It may be better to say that the notion of other planes of reality is challenging to a modern mentality overawed by the success and prestige of science. Accordingly, if the planes of theosophy are scientifically plausible, then the modern mentality is comfortable with them. However, if science deems them implausible, it is difficult to resist doubts about them. Thus, I initially greeted the postulations of contemporary physics of other dimensions with a sigh of relief. I thought that these other dimensions must correspond to the planes of Blavatsky, et. al. Now we seem to be onto something. When scientists postulate dimensions in the sense of parallel universes, these might approximate to the planes of theosophy. Yet there are further aspects of the latter planes that do not quite mesh with the dimensions/planes of the physicists. 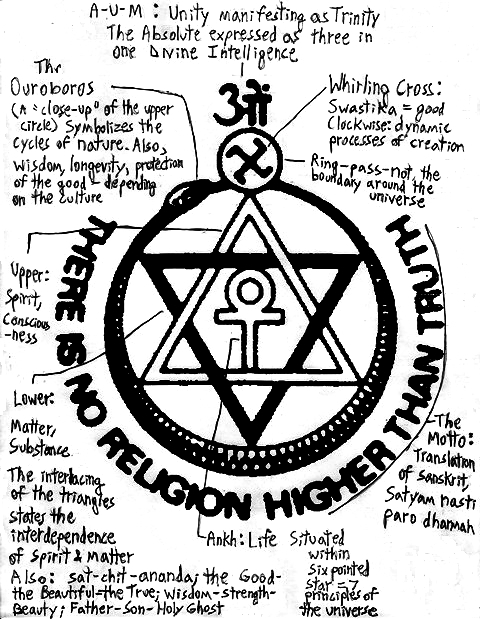 The traditional theosophical conception of the universe is hierarchical. As I understand it, the astral plane is higher, in the sense of more real, than the gross physical plane. Similarly, the causal plane is higher than the astral plane. I do not believe contemporary scientific speculation conceives of any of the parallel worlds as “more real” or closer to an absolute reality than another. It would seem that there could be numerous parallel worlds (in the physicists’ sense) coexisting on the same hierarchical plane (in the theosophists’ sense). If this is so, even as we welcome the parallel dimensions of contemporary scientific speculation, we may have to look elsewhere for further grounding of the theosophical idea of hierarchical planes. As I suggested above, “scientific” and “rational” do not necessarily coincide. There are other ways of thinking about reality in a rational way other than that of empirical science. What I am suggesting is that while we may wait on science to justify certain ideas or hypotheses, it is not irrational to accept a hypothesis in the meantime, at least tentatively, if its plausibility can be established in some other way. I do not want to rehearse the various arguments in favor of or against a Platonic model of reality at the present time. All I am suggesting is that to appreciate the system of planes as a whole, it may be necessary, for the time being, to think of philosophical, rather than empirical-scientific, reasons for positing them. Hopefully, science will eventually corroborate these ideas; but one can rationally accede to their plausibility even without scientific justification. Moreover, one can accede to their plausibility without going so far as to commit to a full-fledged belief in them. Another analogue that helps me to consider the system of planes as possibly real is the Vedantic dichotomy between the Absolute on the one hand and the realm of Maya on the other. This is an idealistic conception of reality in that it makes Consciousness fundamental. Although this may seem to fly in the face of experience, it really does not inasmuch as the Consciousness in question is not that of any finite individual or group of finite individuals. The stability and regularity we find in the world MIGHT be grounded in an Infinite Consciousness. Arguably, such a conjecture cannot be empirically disproven since no empirical evidence would count against it. Likewise, there is no ordinary means of verifying it either. Supposedly, it becomes self-evident once one evolves to a sufficient level of consciousness. Well, either you find this perspective appealing or you do not. Let’s say you provisionally accept it. Then the astral and causal planes would the aspects of reality that are intermediate between our plane and the Absolute Reality. On this view, there is no reason to object to the possibility of parallel worlds within a given plane if they could be confirmed by science. More importantly, if one looks at reality from this point of view, the existence of other planes does not seem strange or unlikely. In contrast to the ordinary physicalistic conception that is forced to strain itself to accommodate a hierarchical reality, the Vedantic-Idealistic (or, alternatively the Platonic-Idealistic) conception STARTS OFF with a stratified reality. The theosophical planes come along for the ride as the specific strata within this world-view. Obviously, this doesn’t prove anything. But it seems to open up a way of making the notion of alternate planes tolerable to the rational mind. Finally, experiential corroboration, if not confirmation, of the theosophical planes has come through various avenues of parapsychological research. Robert Monroe was a modern pioneer in Astral Projection and was tested by Dr. Charles Tart. He has a whole program, either at the institute or by DVDs, on Astral Projecting. His website is: http://www.monroeinstitute.org. Robert Bruce is also considered one of the best contemporary teachers and authorities on this subject. His site is: http://www.astraldynamics.com. An additional site is: http://www.multidimensionalman.com. This is the website of Jugen Ziewe. Mr. Ziewe has years of personal experience. He supplies both descriptive and theoretical ideas about the higher dimensions. The information about the following websites was provided to me by the Theosophist, Michael A. Williams.